Its a nasty wintery day here... a little snow, sleet, and now the rain its just so mushy out! YUCK!!!! Kids were off school today, and lounged pretty much all day... we are all definitely wishing we had some BLUE SKIES, and SUNNY DAYS! 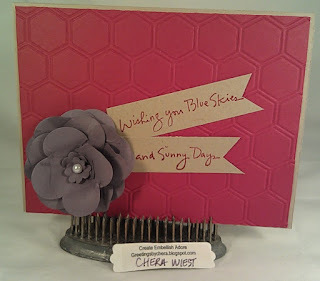 I used the new Honeycomb impressions folder for the BIG SHOT, on Raspberry Ripple. 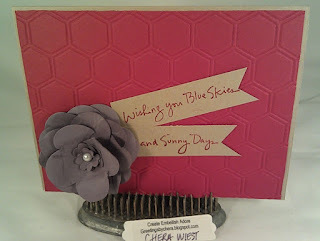 I had this Perfect Plum flower in my stash for a long time - so glad to use it! The sentiment is from Inkadinkado, too cute! 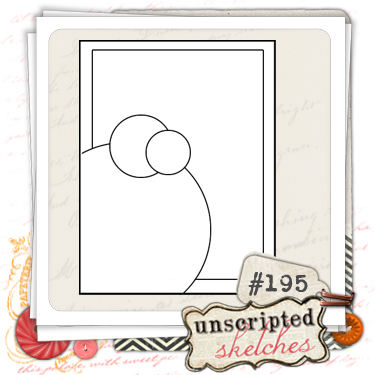 I used the sketch from Unscripted Sketches, kinda flipped it. I was hesitant on these colors - but I like them.. I think I have a few more cards with these colors in the next few days! Be safe! Hug the ones you love! 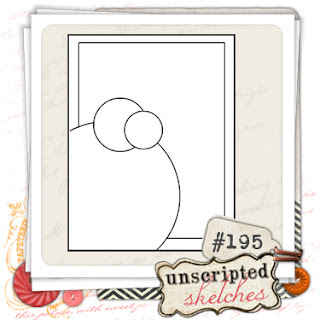 Love that beautiful blossom - thanks for linking up at Unscripted Sketches this week! Chera, thanks for playing with us this week at Sunday Stamps. The honeycomb EF looks great on raspberry ripple. Really like how you made the flower. I'm glad you gave the colours a chance and played along with us this week at Sunday Stamps! :) I love the flower and the sentiment is just too cute! Wonderful card - and your flower is awesome. 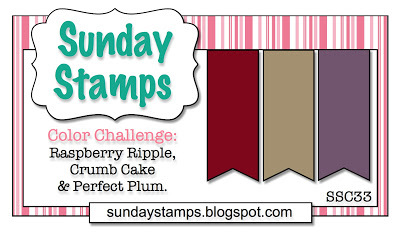 Thanks for playing along with us at Sunday Stamps this week. Beautiful take on the sketch! Love the paper ribbons coming off the flower!